While the world celebrates the Theater Day every March 27, Freddy Sabimbona, actor, director, producer and the founding director of the satirical comedy group “Troupe Lampyre” says there is remarkable evolution of the theater in Burundi these days. “The number of people who go to the theater has significantly increased. Today, we can have an audience of more than 450 people,” he says. Freddy Sabimbona: “Burundian theater is progressing”. Sabimbona also says many young people are nowadays interested in the theater. “There are youths who are really passionate and dedicated to going further as actors, directors and writers”. He says he is satisfied with the progress achieved. “It is really encouraging. Since last December, there has been a theater presentation every month. 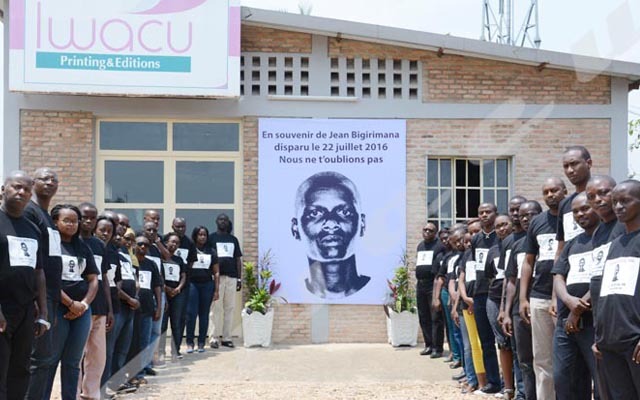 This marks a significant step forward in the Burundian theatre”. Sabimbona also says there are innovations and adjustment that are being made in the Burundian theater so as to attract a lot of people. “For example in the third edition of ‘Buja Sans Tabou Festival’, actors will meet people in bars”. He says adding that Burundian theater professionals also intend to initiate scenography for the artistic beauty of theater. Sabimbona says, however, that there is still a need for big and appropriate theater rooms. Since 1962 the World Theatre Day has been celebrated by theatre professionals, organizations, universities and lovers from across the globe on the 27th of March.